Focus on your interests. Students can tailor their academic journey through electives and internships to gain knowledge in specific health topic areas and discover their passions within health promotion. Hands-on experience. Opportunities abound for classroom, work-study, and internship experiences in a variety of health settings to gain practical experience. Preparation for your future. Our curriculum is geared towards preparing you to obtain professional certification to succeed in the job market or graduate school in health related areas. Academic study connected with laboratory learning. Classes aim to prepare students to meet the needs of their chosen profession as well as preparation for graduate studies. Internships, research, and directed reading opportunities. Students can focus on special topics and skills of individual interest to expand their learning and prepare for graduate school. Background into the many aspects of the human body. Courses focus on multiple human performance domains while drawing upon the biological, chemical, and physical sciences related to activity. Rigorous academic study combined with practical skill development. Classes aim to prepare students with the knowledge and skills to meet the needs of their chosen profession and prepare them for graduate studies. Internships to apply learning. Every student completes one or more internship experiences in order to apply their knowledge and skills in real-world settings. Understanding the effect of physical activity on the human body. Courses focus on multiple human performance domains and draw upon structural and functional adaptations of the human body to physical activity. Why Pursue Applied Leadership Studies Minor? Preparation for your future. Our curriculum is geared towards preparing you to develop your leadership skills in order to enhance your career preparation. Unique academic study experience. Students learn how leadership behavior affects individuals and influences society through classroom discussion and lecture as well as activity based learning experiences. Hands-on experiences. Internship opportunity in the professional setting of your choice provides the ability to gain practical experience in leadership in a specific field of study. Health and Physical Education faculty at Luther has lots of real-world experience, which influences how they teach and the information they highlight in the classroom. Internships provides students with opportunities to apply acquired cognitive skills in addition to being a valuable supplement to their learning experience. Every course I teach in health and sport psychology has life skills at its core. Rachel Stoddard '17 interned with Limb Lab in Rochester, Minn., to 3-D print a myoelectric hand. Stoddard graduated with a degree in Exercise Physiology and plans to earn a master’s degree in prosthetics and orthotics and eventually a Ph.D. in rehabilitation science. In preparation, she’s completed two internships, the first at Walter Reed National Military Medical Center, where she observed work in traumatic brain injury, physical and occupational therapy, service-dog training, and prosthetics and orthotics. 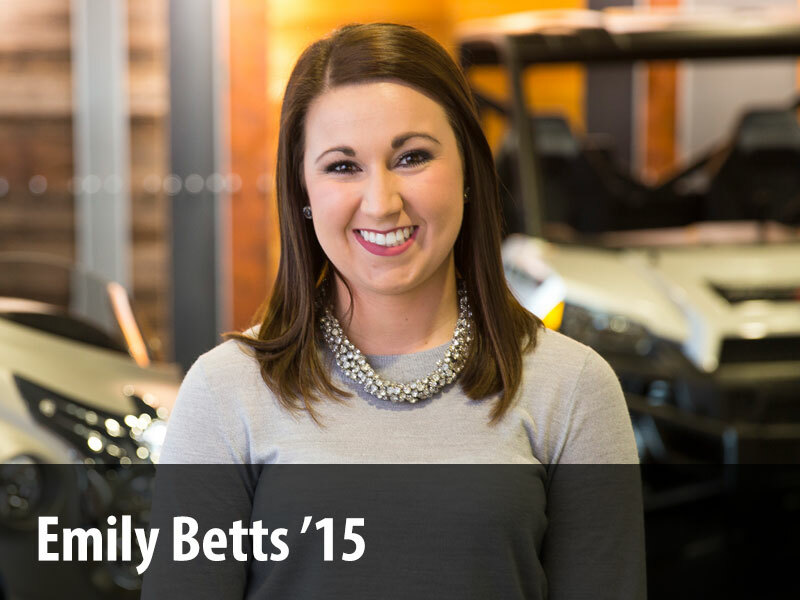 Her second internship was at Limb Lab, a boutique prosthetic and orthotic company cofounded by Brandon Sampson ’98. 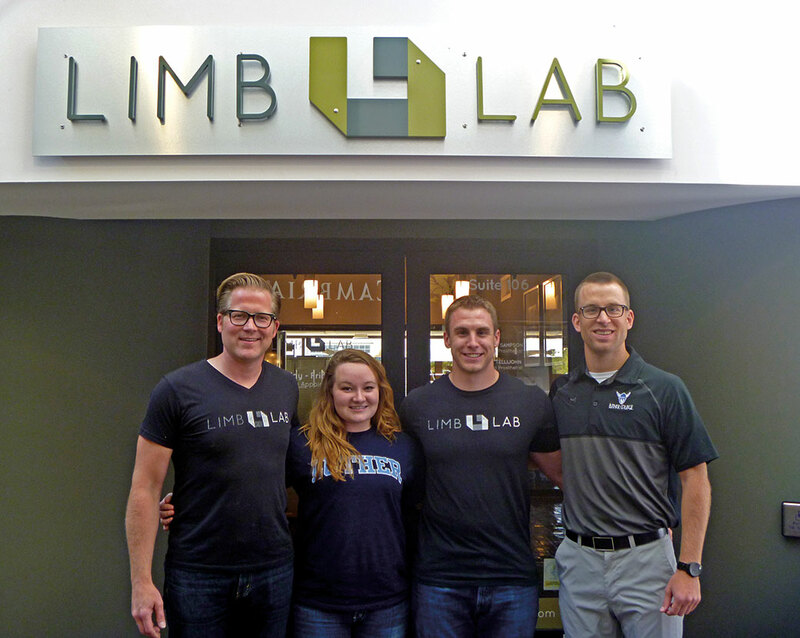 The Limb Lab team includes cofounder Brandon Sampson ’98 as well as two Luther graduates. At left (from left to right): Sampson, Stoddard, and employees Trent Kerrigan ’13 and Andrew Nelson ’13.